If you’re anything like me, you’ve had your fill of speaking to robotic phone operators or pushing fifteen buttons on your phone to get routed to someone who has any chance of actually helping you with your question or challenge. Don’t get me wrong, I love new and innovative technology. But, only if it really helps me do things faster, easier, or better. (c) expand your usage of our software to deliver even greater value to you and your organization. 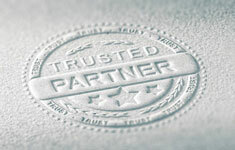 We look at each and every customer relationship as a partnership. Our objective isn’t to minimize the cost of a particular call, to minimize distractions of our staff, or to get you to interact with us less. In fact quite the opposite. You see, we are confident that if we provide the best service with the quickest response time, our software usage will expand and allow us to earn the funds that pay for this superior level of customer attention. In the process, we learn a lot about how to make our products even better! A partnership, a win-win! It’s really a simple concept, and we know it works as our customers tell us so daily. Besides, it’s the way that we really want to be treated when we need help from other organizations. The bottom line is that we love hearing from our valued customers. So, even if you don’t have a pressing need, feel free to contact us and let us know how you’re doing and let us know if we’re meeting your needs. You see, that’s what we think is just straight up cool!